Handpainted unique and beautiful ceramic lotus bowl imported from Thailand. 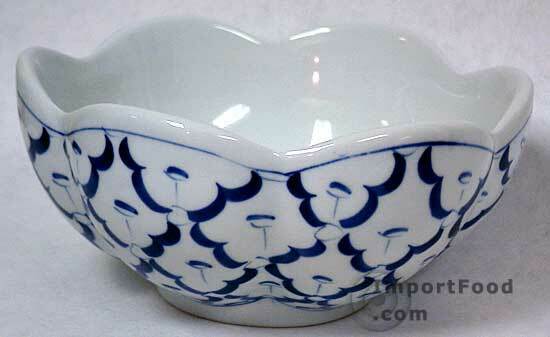 Also known as a Lotus Bowl to reflect the shape of a lotus flower. 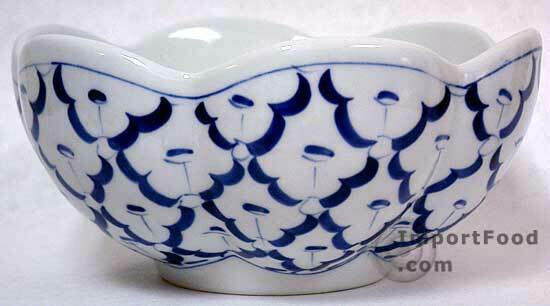 Each bowl is smooth on the inside, with 6 separate petals on the outside and carefully rounded shape at the top. Bowl is 6 inches wide and 4 inches tall. Vivid blue color and clean white, high quality heavy ceramic. Each piece is painted by hand using a traditional design unique to Thai artisans. You will appreciate the weight of this thick, ultra-high quality bowl. In Thailand this would be used for serving fruit. Certified for use in microwave or conventional oven, as well as dishwasher-safe. Each piece will arrive in perfect condition as we place a great importance on packing methods.